Bahco bow saws are the best on the market. This aw features a 21'' Blade with adjust tension and an ergonomic handle. 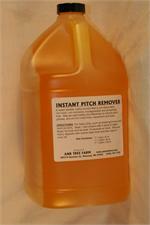 Instant Pitch Remover is a water-soluble, safety solvent that is non-flammable, non-toxic, non- corrosive, biodegradable and phosphate free. It may be used safely and effectively to remove pitch from machinery, equipment and tools. This sheath hold two 16 inch blade shearing knives or one knife and one sharpening steel. It straps to the leg and goes through your belt to stay secure in place. These wrist wraps are excellent for anyone who suffers from wrist problems or anyone who wants to prevent wrist problems. One size fits all and they work on left or right hand. These hand held tally counter work great for counting trees, loading trucks, and any other job where you need an exact count. Range 0-9999 Comes with a lanyard for around your neck so you never lose it. Waterproof, durable, industrial grade rain overalls. 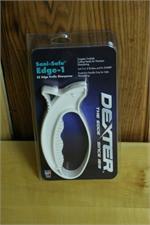 Diamond sharpener perfect for shearing knives, espically serrated. They are light weight and built to last. Get yours today. Tungsten Carbide heads for precision sharpening, just 3 or 4 strokes and its sharp. Protective handle grip for safe sharpening. Soderholm bow saws and blades. Available in multiple sizes. This canvas shearing chap is hand made in the hills of North Carolina and offers great protection. It is made out of white canvas material and withstand some heavy abuse, but it is very light weight and cool, you will not even know you are wearing it.